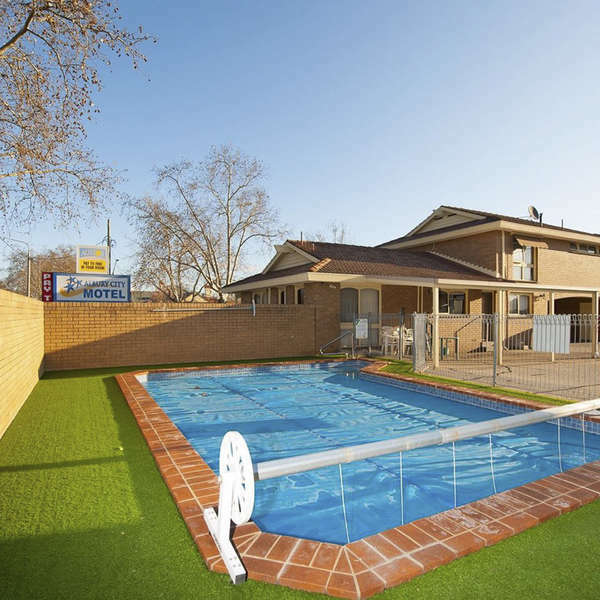 Albury City Motel is located in a quiet area, features an outdoor pool, free on-site parking, free Wi-Fi access, room service and family room. The air-conditioned guest rooms are equipped with a fridge, a microwave and a flat-screen TV. The en suite bathroom offers shower and a hairdryer. In addition, all guestrooms feature a variety of comforts. Many rooms even provide air conditioning, satellite/cable TV, television LCD/plasma screen, DVD/CD player, refrigerator to please the most discerning guest. With an ideal location and facilities to match, Albury City Motel hits the spot in many ways. At Albury City Motel, the excellent service and superior facilities make for an unforgettable stay. Albury City Motel is just 5 minutes’ drive from Albury town centre where guests can find various restaurants and local stores. It is a minute’s drive from Albury Golf Club and a 5-minute drive from Murray River. It is a 7-minute drive from Albury Airport and a 45-minute drive from All Saints Winery. The property is a 3-hour drive from Thredbo and Perisher Snow Fields. One child under 2 years is charged AUD 5 per person per night in a child's cot/crib. All children from 2 to 15 years are charged AUD 10 per person per night when using existing beds.